HD 5/12 C Plus EASY! HD 5/12 CX Plus EASY! 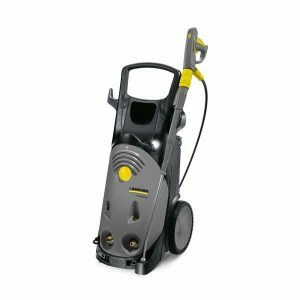 The HD 10/25-4 S cold water high-pressure cleaner in an upright construction style impresses with EASY!Force high-pressure gun, pressure switch control and Servo Control. 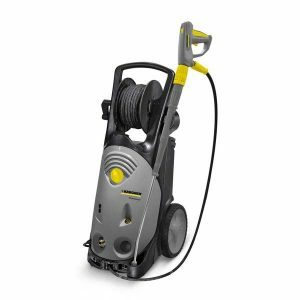 The HD 10/25-4 SX Plus cold water high-pressure cleaner in an upright construction style impresses with EASY!Force high-pressure gun, pressure switch control and Servo Control. Practical, mobile, versatile: the HD 5/12 C cold water high-pressure cleaner for vertical and horizontal operation. With accessory storage, brass cylinder head and automatic pressure relief. 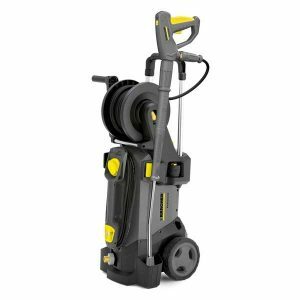 Practical, mobile, versatile: the HD 5/12 CX Plus cold water high-pressure cleaner for vertical and horizontal operation. With accessory storage, brass cylinder head and automatic pressure relief. For maximum mobility and best cleaning results even under tough conditions: the HD 7/15 G petrol-driven cold water high-pressure cleaner with 150 bar pressure from the Gasoline Advanced range. 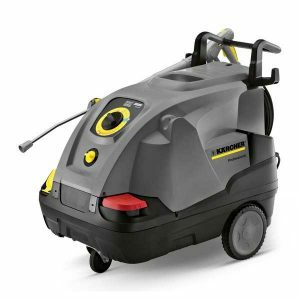 For independent use in areas with poor infrastructure: the HD 9/23 De diesel-powered, mobile cold water high-pressure cleaner with 230 bar pressure for high cleaning performance. With the HD 9/23 G petrol-powered cold water high-pressure cleaner with Honda petrol engine, you can work independently and conveniently while staying mobile – even under adverse external conditions. HDS 10/20-4 M EASY! 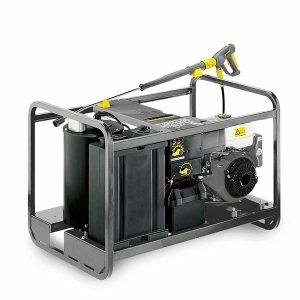 Force – the powerful three-phase hot water high-pressure cleaner in the Kärcher Middle class. With 4-pole, water-cooled electric motor, two cleaning agent tanks and service electronics. 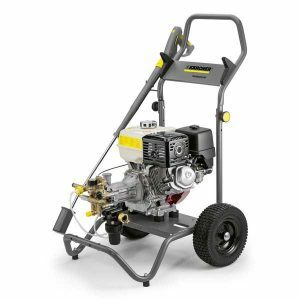 Independent of an external power supply: the heated HDS 1000 Be high-pressure cleaner with Honda petrol engine and electro start. Designed for demanding continuous use and suitable for crane loading. The pioneering EASY!Force high-pressure gun is part of the heated HDS 1000 De high-pressure cleaner’s standard equipment. Sturdy frame designed for crane or forklift loading. 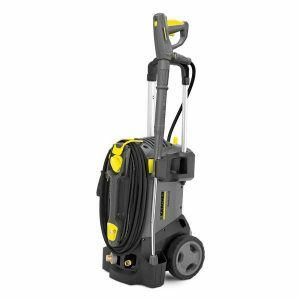 The HDS 13/20-4 S is the most powerful hot water high-pressure cleaner in the Super class and is fitted with a 4-pole, water-cooled electric motor and large LED display. 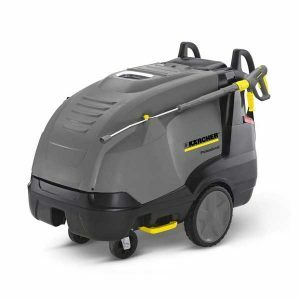 Single-phase HDS 6/14 C hot water high-pressure cleaner with eco!efficiency mode, EASY!Force trigger gun and Servo Control, the infinitely variable pressure and water flow regulation function from Karcher. 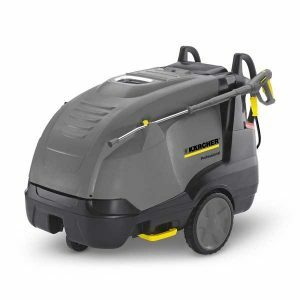 The HDS 7/12-4 M EASY!Force from Kärcher with electric motor, two cleaning agent tanks and service electronics is the ideal entry-level machine in the Middle class of hot water high-pressure cleaners.